We are getting 100 of mails to our Gmail Inbox daily. Some of the mails that send by our Friends, Relatives, Etc. Some other mails may be related to jobs vacancies and offers etc. In the case of Jobs and Offers also in some other situations, We have to research about the person who behind the email. Because mail can be send by anyone and may not be a genuine person. 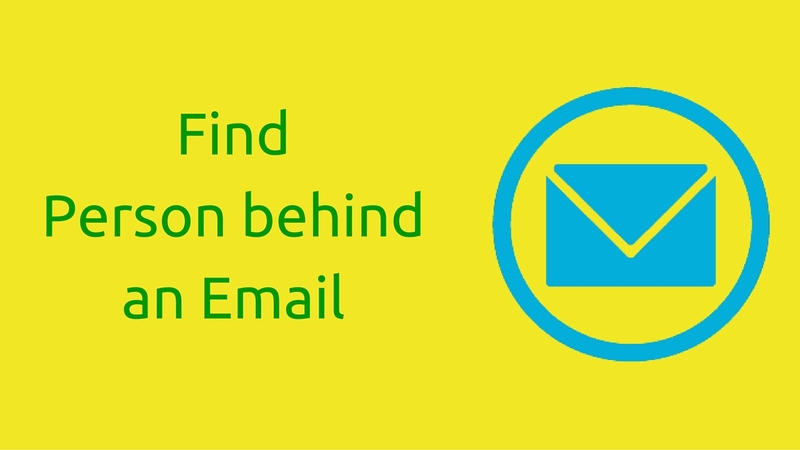 So in this article, I am going to share some strategies which helps you to find information about email address. Search Engine is the most valuable tool which can be used for researching anything. If anyone use my email ID to search on the Google Search Engine, They can see all the sites that I used the Email to register. By using this method we can understand what kind of person he is or she is. Most of the people were registered their Email with social media's such as Facebook, Google+, Twitter, Etc. We can use their Search Engines to find information about the person who behind the email address. You can take look to the image screenshot that I given below. You can also use the same method on Twitter and Google Plus. By using this method you can understand more about the person. You can see the Profile, Timeline, Etc. With all those information, you can totally understand about a person. Gmail is now integrated with Google Plus, So, most of the people will upload their image to Google Plus. When ever the user send email with that Email Address, Gmail will show their profile photo with in the mail (You have to upgrade your Inbox Theme to new version). By using the profile photo, You can search on the Google Image Search Engine. Like the image example given above. Spokeo and Pipl are using using deep web linking technologies to search about Email address. 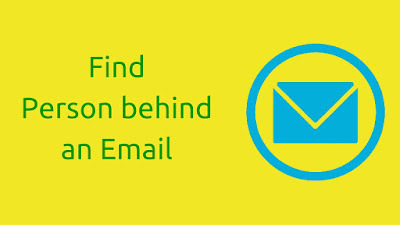 By using their search engines, We can easily find information about an Email Address. Spokeo will crawl through thousands of Search Engines and find the information for you. Pipl is totally free but Spokeo providing both Free and Paid Plans. You can buy the premium plan, only if you want to know more information without wasting your time. Search about an Email Address with Spokeo and Pipl.